President Jacob Zuma has fired finance minister Pravin Gordhan and eight other cabinet members in a high-stakes power play that may threaten his own presidency and place the nation’s investment grade credit rating at risk. Gordhan was replaced by home affairs minister Malusi Gigaba, who has no financial or business experience, while lawmaker Sfiso Buthelezi takes over from Mcebisi Jonas as deputy finance minister. The cabinet overhaul came in a late-night move that threatens to split the 105-year-old ruling ANC and trigger a revolt against the president. The rand extended losses, heading for its worst week in more than a year. Zuma’s decision to replace Gordhan, popular with investors because of his efforts to rein in spending, came in the face of opposition from three of the top six members of the ANC and its alliance partner, the South African Communist Party. Some cabinet ministers were said to be ready to turn against the president, who’s survived a series of corruption scandals and presided over the party’s worst electoral performance since the end of apartheid in 1994 in municipal elections in August. 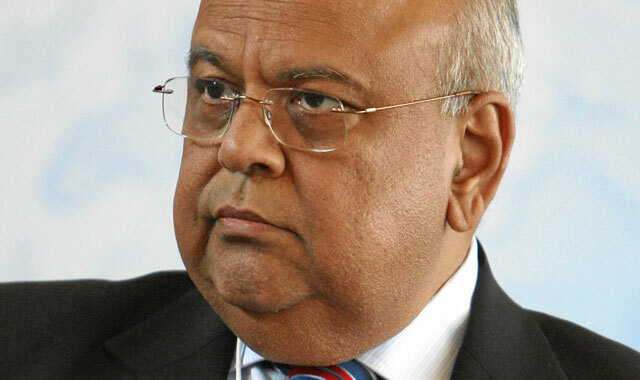 Gordhan’s ouster marked the end of a stormy relationship that began almost as soon as Zuma named him as finance minister in December 2015, four days after the president triggered a sell-off in the rand by replacing the respected Nhlanhla Nene with a little-known lawmaker. He clashed with his boss over the affordability of building nuclear power plants and the management of state-owned companies. The reshuffle comes in Zuma’s last year as leader of the ruling party and while removing an opponent in a key position may strengthen his grip over the government, a backlash within the party would galvanize his detractors as he seeks to secure his choice as successor in a party election in December. The rand tumbled, weakening 1,2% to R13,44/US$ by 2.40am in Johannesburg on Friday after slumping 1,9% the day before. It has plunged 7,5% this week, the most of 150 currencies tracked by Bloomberg. Zuma made 20 changes to his administration, capping a dramatic week when he ordered Gordhan on Monday to cancel a series of meetings with investors in the UK and the US and return home. The South African Communist Party, an ally of the ANC, slammed the decision to recall Gordhan and warned against firing him. Gordhan’s successor, Gigaba, 45, was appointed as minister of home affairs in May 2014. A former president of the ruling party’s youth wing, he trained as a teacher and holds a master’s degree in social policy. He previously served as the minister of public enterprises, deputy home affairs minister and as a lawmaker for the ANC. The other cabinet changes announced by Zuma include the appointment of Mmamoloko Kubayi as energy minister to replace Tina Joemat-Pettersson, Joe Maswanganyi as transport minister in place of Dipuo Peters and Tokozile Xasa as tourism minister in place of Derek Hanekom. Several ministers were given new portfolios including Fikile Mbalula, who becomes police minister, Nathi Nhleko, who was named minister of public works, and Thulas Nxesi, who was appointed minister of sport and recreation. Ayanda Dlodlo will take over the communications portfolio from Faith Muthambi, who becomes minister of public service and administration. Hlengiwe Mkhize succeeds Gigaba as home affairs minister. Zuma didn’t bring in Nkosazana Dlamini-Zuma, the former head of the African Union Commission and his ex-wife, who is seen with deputy President Cyril Ramaphosa as a leading contender for ANC president at a party electoral meeting at the end of the year. 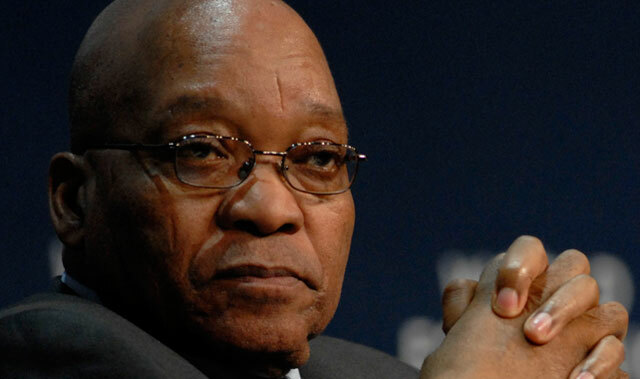 Zuma has survived a series of scandals since he became president in 2009. The constitutional court last year ruled that he broke his oath of office by refusing to repay taxpayer’s money spent on his private home. The nation’s graft ombudsman also implied that he allowed members of the Gupta family, who are in business with his son, to influence cabinet appointments and the issuing of state contracts. Zuma and the Guptas deny having ever intentionally broken the law. The cabinet changes will leave South Africa’s credit rating vulnerable. Moody’s Investors Service, which rates South Africa’s debt at two levels above junk and with a negative outlook, is scheduled to publish a review of the nation’s creditworthiness on 7 April. S&P Global Ratings and Fitch Ratings kept their assessments at the lowest investment grade late last year. “We expect the current explosion of political turmoil and its resulting economic and fiscal uncertainties to catalyse sovereign rating downgrades,” said Phoenix Kalen, director of emerging market strategy at SocGen in London. The two biggest opposition parties, the Democratic Alliance and the Economic Freedom Fighters, have filed for votes of no confidence in Zuma.